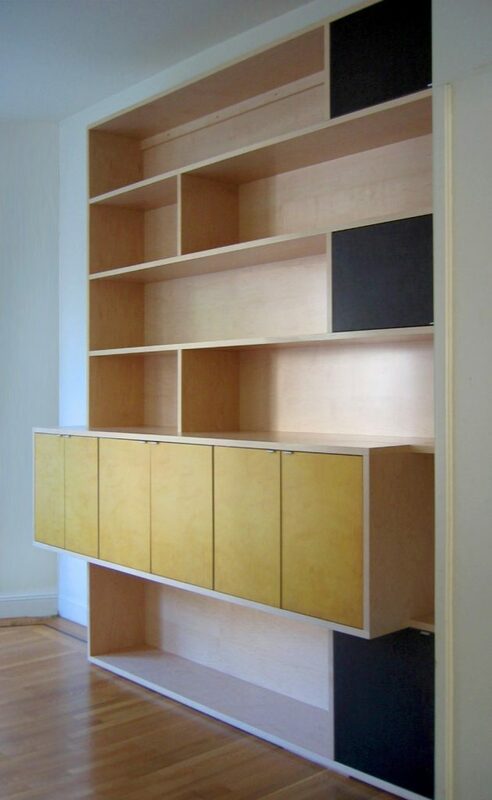 A custom, built-in wall cabinet accommodates a variety of storage needs, including books and DVD collections. 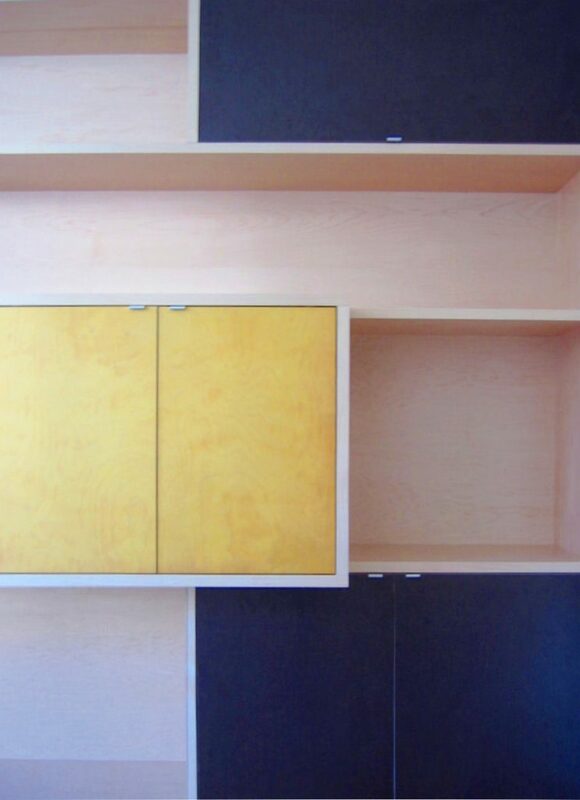 The cabinet supports a projecting “bar” of covered storage for media equipment, defined by a row of yellow doors. The supporting base is comprised of mostly open shelving, punctuated by a pattern of stained Fin-Ply doors.